Meet Mei Wei. She's one of China's top coplayers (or "coser" as they're called there). She appears in Chinese cosplay mags, at game promotions, and at event after event. Mei Wei's image appeared on the flier for China Joy's cosplay event; China Joy, of course, is the country's biggest game event. 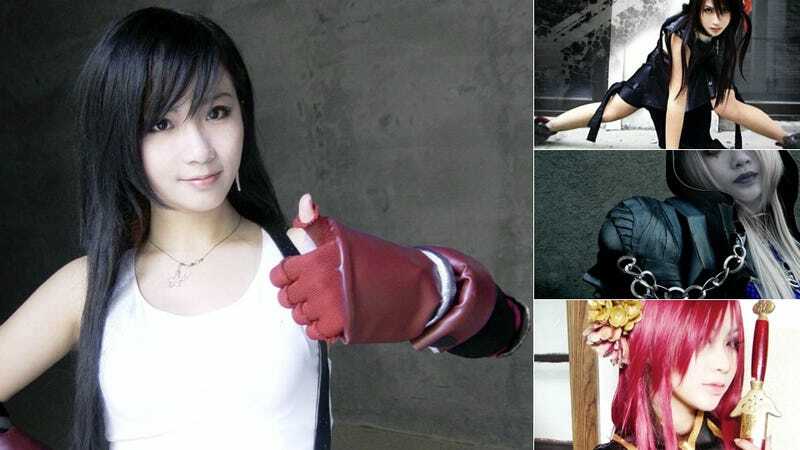 Hailing from Tianjin, she's been cosplaying since 1999. Kotaku previously posted her work while featuring photographer MengJie Luan and his photos of her Athena cosplay. Today, let's have a closer work at what other cosplays she has done. More in the links below.